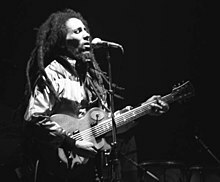 Robert Nesta Marley (6 February 1945 – 11 May 1981), more famously known as Bob Marley, was a Jamaican singer, guitarist, songwriter, and social activist. His vision of "One World, One Love," is a dream that inspired many. Judge not, if you're not ready for judgment. We don't have education, we have inspiration; if I was educated I would be a damn fool. As quoted in Rolling Stone's The Immortals (2004) "Bob"
The more you accept herb, the more you accept Rastafari. Keep calm and chive on. All dese governments and dis this and that, these people that say they're here to help, why them say you cannot smoke the herb? Herb... herb is a plant, you know? And when me check it, me can't find no reason. All them say is, 'it make you rebel'. Against what? Alcohol make you drunk, man. It don't make you meditate, it just make you drunk. Herb is more a consciousness. The people who are trying to make this world worse aren't taking a day off. How can I? They say: only the fittest of the fittest shall survive, stay alive! Get Up, Stand Up, Burnin' (1973), cowritten with Peter Tosh. Every day the bucket a-go a well, one day the bottom a-go drop out. Excuse me while I light my spliff, good God I gotta take a lift. In the abundance of water a fool is thirsty. Judge not, before you judge yourself. so while you talk about me, someone else is judging you. We JAH people can make it work. Two thousand years of history Black History could not be wiped away so easily. And what has been hidden from the wise and the prudent been revealed in the mouth of the toddlers. so before you point your fingers make sure your hands are clean. So, no woman, no cry. 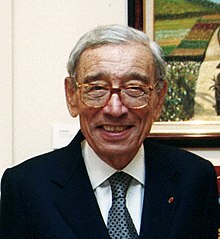 I am Boutros Boutros-Ghali; put down your gun and listen to Bob Marley. I carried Bob Marley’s Redemption Song to every meeting I had with a politician, prime minister, or president. It was for me a prophetic utterance or as Bob would say "the small ax that could fell the big tree". The song reminded me that freedom always comes with a cost, but for those who would prepare to pay it, maybe "emancipation from mental slavery" would be our reward. You just mentioned Bob Marley — I can remember when I was in college, listening — and not agreeing with his whole philosophy necessarily, but raising my awareness of how people outside of our country were thinking about the struggles for jobs and dignity, and freedom. He had this idea. It was kind of a virologist idea. He believed that you could cure racism and hate... literally cure it, by injecting music and love into people's lives. When he was scheduled to perform at a peace rally, a gunman came to his house and shot him down. Two days later he walked out on that stage and sang. When they asked him why — He said, "The people who are trying to make this world worse are not taking a day off. How can I? Light up the darkness." This page was last edited on 10 March 2019, at 23:57.